Video game giant Nintendo on Tuesday announced its classic characters, as well as some new faces, will make their way to "smart devices" through a partnership with mobile app developer DeNA. 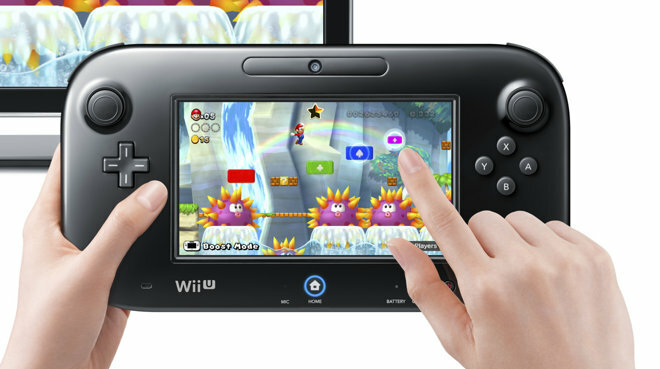 Nintendo's Wii U home console. Still in its early stages, the partnership will see Nintendo's intellectual property jump from first-party consoles to mobile devices, where it can reach a much broader audience. All of Nintendo's IP are eligible for inclusion in future app development, the companies said in a statement. Instead of simply porting over existing console games, the venture will see Nintendo and DeNA develop new titles made specifically for mobile, ensuring a high-quality user experience. The move is likely to create a groundswell of support from gamers who have waited years for official Nintendo software to land on their smartphones and tablets. In addition to mobile games, a new multi-platform online membership service planned for launch in fall 2015 will let users play games across mobile devices, PC and Nintendo consoles, such as the portable 3DS and Wii U. Pricing and details have not yet been announced. Information on upcoming game titles and platform availability will be revealed at a later date. As part of the deal, the two Japanese firms agreed to buy into each other for $181 million. Nintendo's stake in DeNA will amount to 10 percent of the firm's outstanding shares, while DeNA will take 1.24 percent of Nintendo. Console makers Nintendo, Microsoft and Sony have seen a tumultuous few years after Apple's iPhone, iPad and iOS App Store ushered in the era of bite-sized mobile gaming. With developers focused on iOS , Android and others, the Big Three have been largely relegated to the living room, save for Nintendo's 3DS lineup. Despite success with its own portable hardware, Nintendo is in a particularly precarious position as its latest Wii U console continues to suffer tepid sales. Today's announcement represents an avenue of much needed growth for the storied gaming firm.